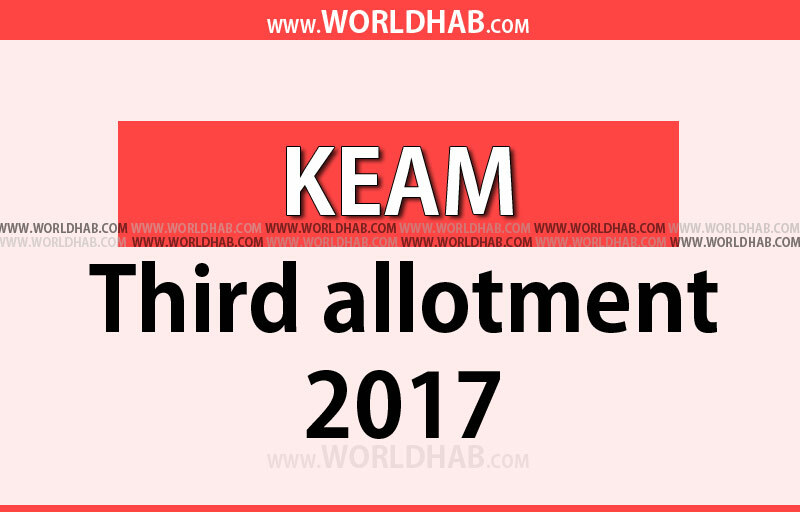 KEAM 3rd allotment 2017 list has declared on 20th July by the Commissioner of Entrance Examinations (CEE) at the cee.kerala.gov.in official website. So, the students those who all needed and applied for the programme to study on the medical and allied courses and even in the engineering, architecture and pharmacy courses can check their names in the KEAM third allotment list which can access on the official website as mentioned. While the first allotment list for engineering, architecture and pharmacy courses has released by the CEE Kerala on June 30. And the second list has declared on July 10. While the Commissioner of Entrance Examinations (CEE) announcing the list which based on the KEAM 2017 results of engineering and pharmacy courses. Also, the NEET UG 2017 results used for the medical and allied courses. The KEAM 2017 examination conducted on two days at the end of April month in this year as of April 24 and 25. Around 1.6 lakh candidates have registered and appeared for the examinations. The KEAM 2017 was held across Kerala, Delhi, Mumbai and Dubai around 300 centres. In the engineering rank list, totally more than 32 thousand boys and more than 29 thousand girls included. The candidates can check their ranks at two official websites such as cee-kerala.org and cee.kerala.gov.in. Click on the KEAM 2017 Candidate Portal on the homepage. Enter application number and other required details. OR Click on Allotment list at the left side column and click on phase 3. Save as PDF (or) Download (or) take a print out for further reference.